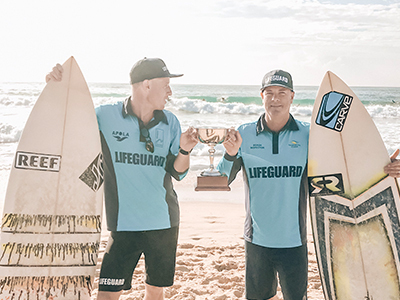 Randwick City Lifeguards will mark the end of a successful season protecting swimmers at our beaches by competing in a surfing competition with other Lifeguards from NSW councils in the inaugural Lifeguard Surfers Cup on Friday 12 April at Maroubra Beach. The event is a great way for Lifeguards to see out a busy spring and summer season and swap experiences with other council Lifeguards, Mayor Kathy Neilson said. Since July 2018, Randwick City Lifeguards performed 567 rescues, administered first aid 10,906 times and performed 28,068 preventative measures at Maroubra, Coogee and Clovelly beaches. Randwick City Council has partnered with Surfing NSW to create a competition that also serves as a networking and skills building opportunity for all participants. It reflects Council’s commitment to developing the skills and careers of all Council staff, said General Manager Therese Manns. “As an employer of choice we look for opportunities to celebrate the achievements of our staff and develop valuable cross industry networks,” said Ms Manns. The one day event will see teams of five surfers each from Randwick, Waverley, Northern Beaches, Central Coast, Lake Macquarie and Wollongong councils compete in a tag-based format. Surfers will start on the beach, tag their teammate and paddle out, with one wave from each of the five surfers contributing to the team’s overall tally.